Aster Avenue Inc. is a design studio that works from a principle of mutually informed graphic design. We've concluded that designing from a basic and mutually well-understood premise can help us design better, operationalize your project sooner and help your business grow. 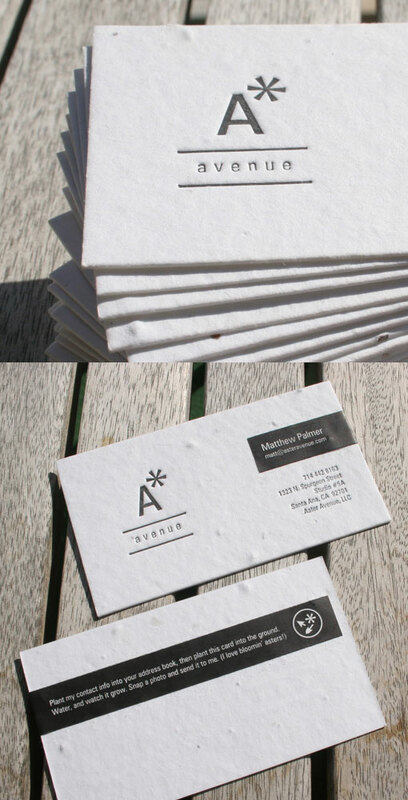 It is with this premise in mind that the business card was designed. Using seed paper which, when planted in the ground and watered, will grow aster flowers- symbolic of the planting and watering of ideas that grow into flourishing business. The Aster logo is letter-pressed to convey the impact that great design can make on the image of a business. Finally for versatility and cost-effectiveness, each individual's information is applied with a wraparound sticker.